Following suit with the discontinuation of the Tourbillon Souverain, which made way for the new Tourbillon Vertical; the Sonnerie Souveraine, which is to make way for an all new grand complication debut later in the year; F.P. 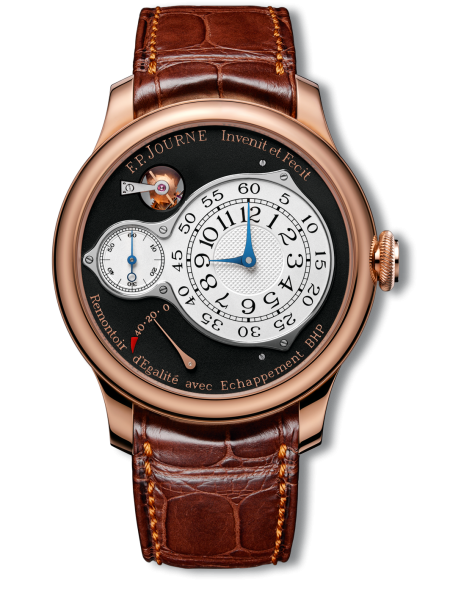 Journe has recently updated their website reflecting additional pieces that have been completely discontinued. Surprisingly, the decision this time has not been done for one particular watch but for several at the same time. To start, the Boutique Collection, which was the name given to a boutique-exclusive combination of a rose gold case with a black dial, has been completely stopped. The series which was launched in 2009, was made available for any model that could be ordered with a rose gold case. Note the exception of the Boutique Edition Octa Divine which still remains in production. Debuted in 2012, the Boutique Collection Nacre came in two configurations but followed the same design touches; a silvered guilloche center surrounded by a mother of pearl ring onto which the track and numerals were printed. The collection consisted of both rose gold and platinum cases with a reddish pearl color on the former, and a bluish pearl color for the latter. Available in the series was the Chronometre Souverain, Octa Automatique & Octa Automatique Lune. 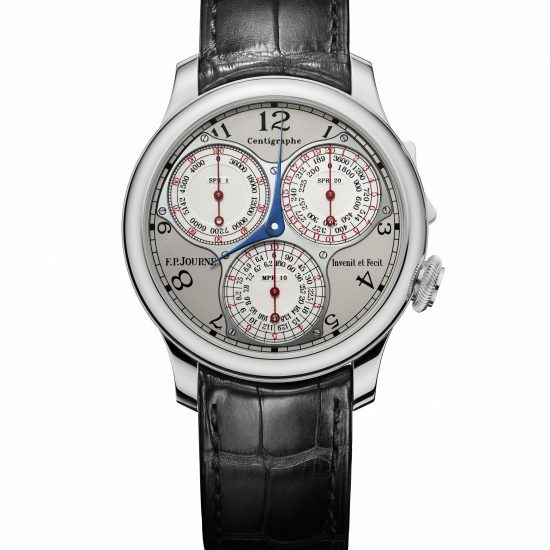 To note, the platinum Chronometre Souverain Nacre is still available on the site and thus remains the only exception to the series, though it is unknown if this is for the longer run. Introduced in 2007, the AR/AL debuted the updated Octa caliber 1300.3 with the uni-directional rotor system, aimed towards achieving a more efficient winding mechanism. 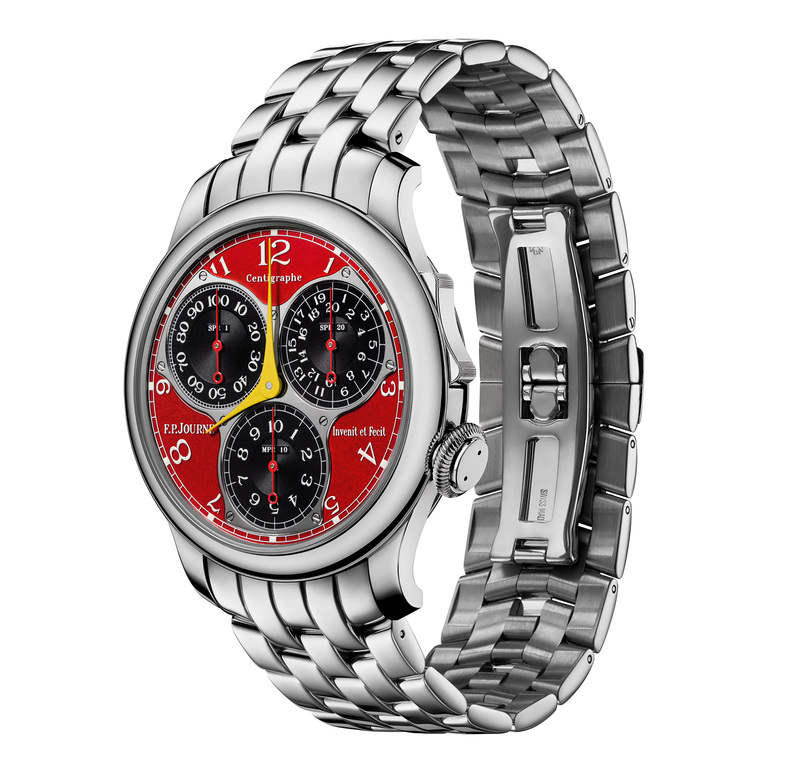 The watches were also the first in the automatic collection that utilized a full-dial hour display. 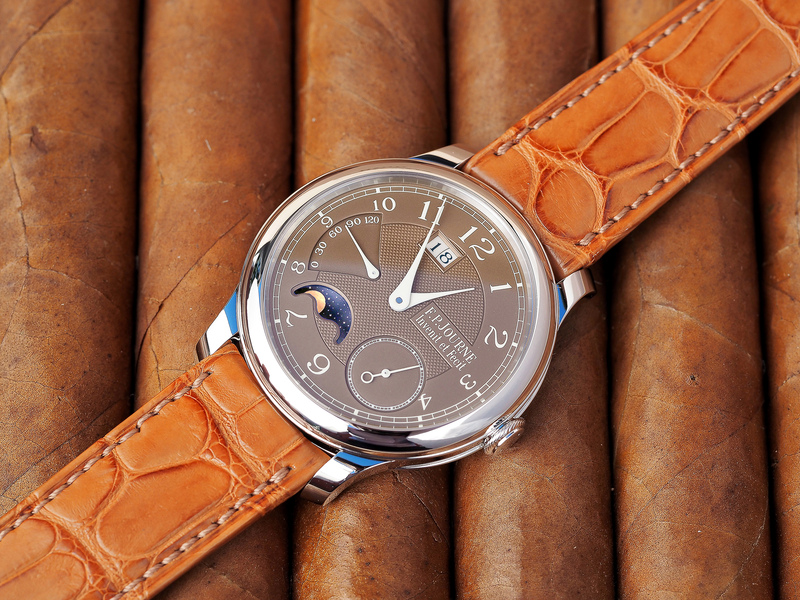 Originally only available with a silver dial, they went on to debut the boutique-exclusive series and most recently, the Havana dials, alongside the Chronometre Souverain. 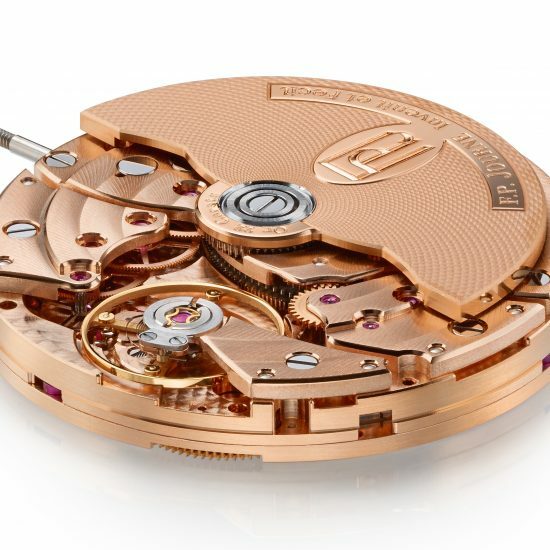 With the end of these models, the Octa caliber is no longer available with only a date and power reserve function, two distinctive features of the movement when it debuted in 2001. It was announced last December that the Centigraphe (CT) was discontinued but in more accurate terms, it has been replaced and moved. The CT which was part of the Souveraine collection has been completely stopped and now even the special order CT-F has followed as well. The CT-F was first seen roughly around 2008 and was unofficially termed the “Ferrari Dial”. 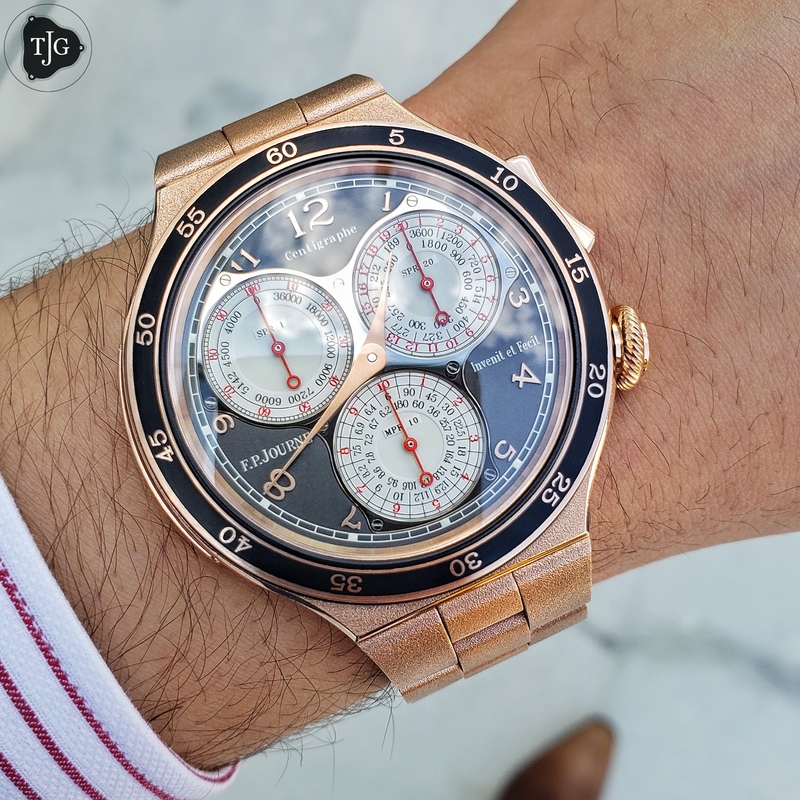 It was only available in platinum with a matching platinum bracelet; the dial mimicking the exotic manufacturer’s colors of chrome red for the dial and paired with yellow hands. With the end of the CT-F, the original Centigraphe has been entirely stopped but it gets a little interesting from here. 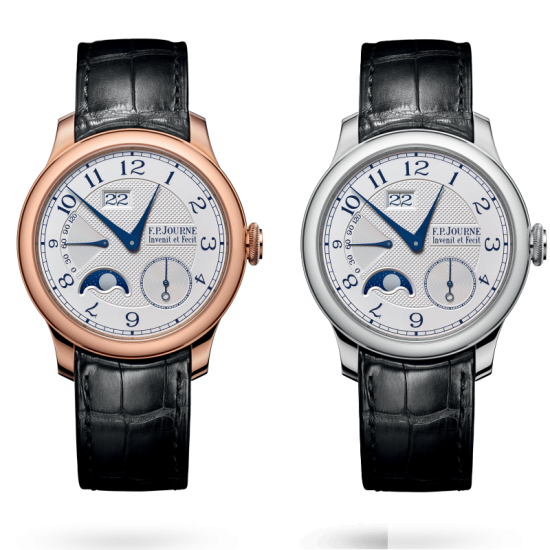 SIHH saw the release of the CT2 which is only available in complete rose gold or platinum, with integrated bracelets. For some reason, unknown to me, the brand has yet to make any sort of official announcement or press release regarding the “new” model but to still call it a secret is most likely not the goal here. The new CT2 is now part of the LineSport collection. With that said, keep in mind that while the manufacture has stopped production of the above collections and models, it is still possible to obtain any of the pieces should they still be available in stock at any of the boutiques or retailers. I further reached out to a brand representative regarding the rather large restructure (for such a small brand) and the reasoning behind the decisions. Understandably, it was noted that the restructure was in hope of refocusing the collections.